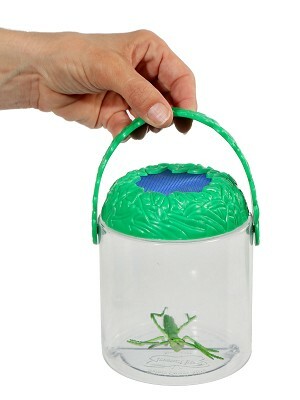 The Ventilated Bug Jar is the perfect place for bug-loving kids to view their critters and keep them safe! It’s sturdy and shatterproof and designed with kid and critter comfort in mind. The spacious bug chamber has a ventilated lid, which allows bugs to breathe easily. The leafy green handle makes it convenient for kids to tote. 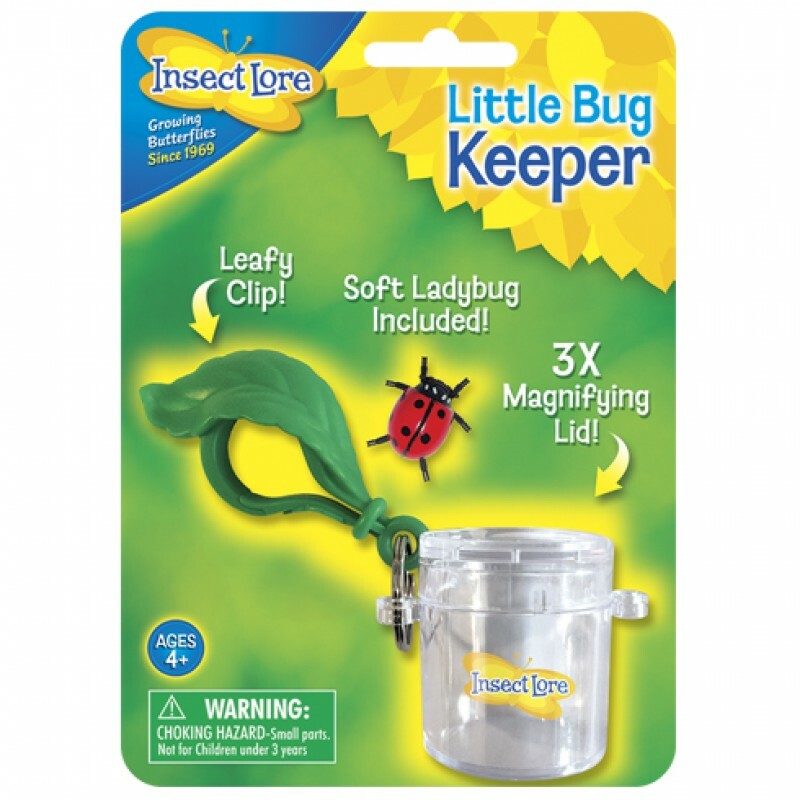 After quality time with your bugs, simply unscrew the easy-grip lid and let them go! Includes a realistic Praying Mantis figure! Recommended for Ages 4 and up.